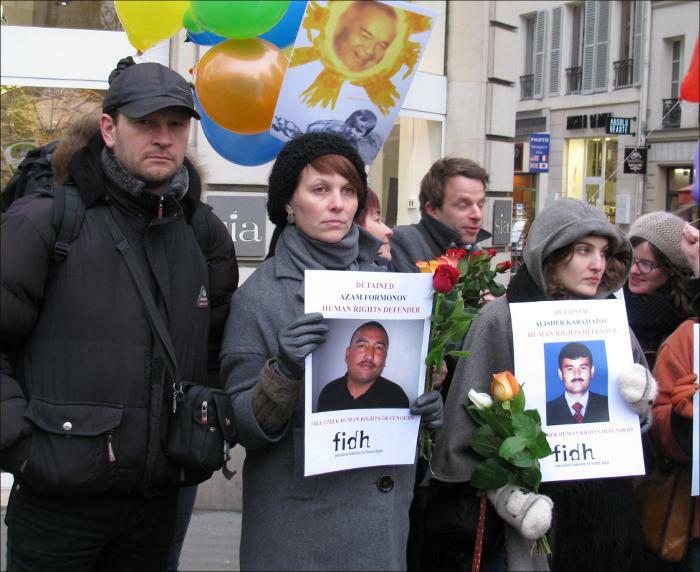 Human right activists from a number of international NGOs, including ACAT-France (Action des chretiens pour l'abolition de la torture et des executions capitals), FIDH (The International Federation for Human Rights), Amnesty International-France, the French League for Human Rights (LDH), along with the Ardent Hearts Club and the Human rights in Central Asia Association gathered in front of the embassy of Uzbekistan in Paris for a public action dedicated to liberation of all political prisoners and protection of human rights on the occasion of Islam Karimov’s birthday on the 30 of January, 2012. 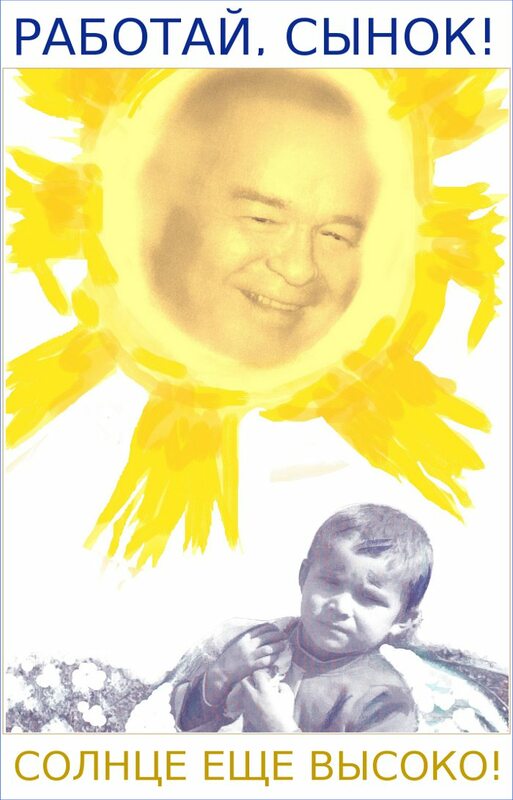 They have sent dozens of toy balloons soaring in the sky over Paris as a symbol of liberation of each and every political prisoner detained in Uzbekistan. This public manifestation of protest has been organized by international law students at the Universitй Paris Ouest Nanterre La Dйfense. 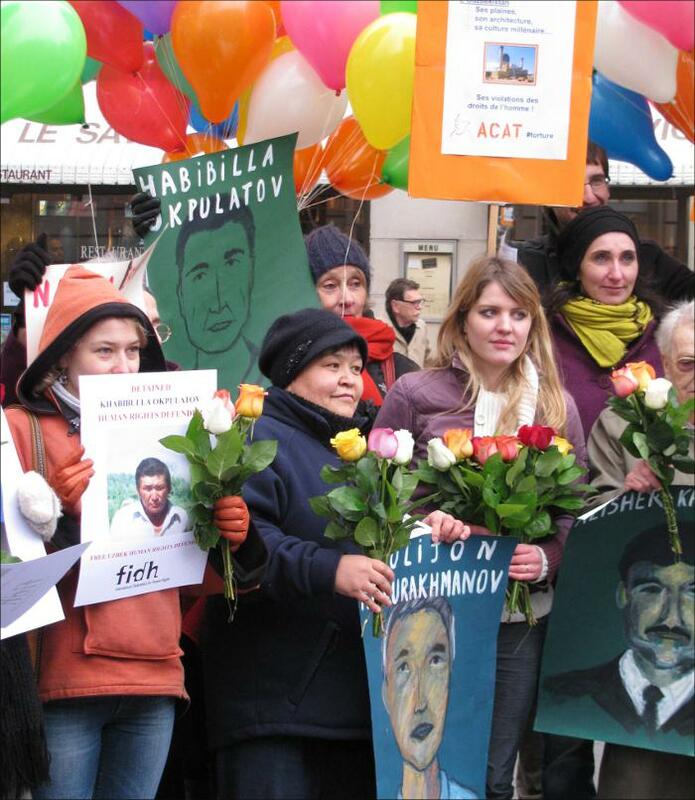 Their leaders spoke about being shocked with the stories of political prisoners in Uzbekistan and of their decision to join efforts towards their liberation. Students give their support to the Ardent Hearts Club led by Mutabar Tajibaeva, a renowned Uzbek human rights activist. Another activist and the head of the “Human rights in the Central Asia” association, Nadezhda Ataeva tells Fergana they have been forced to relocate the meeting of protest to a Boulevard Malesherbes, a busy street not far away from the embassy as diplomats from the embassy complained to the police about the proposed picket at the embassy. 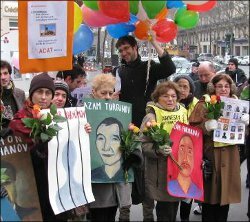 Members of the Christian Association against tortures and capital punishment (ACAT-France) who support families of political prisoners in Uzbekistan by keeping correspondence for many years, have held up pictures of the imprisoned human right defenders and journalists. Sascha Kulaeva, from FIDH, and Tamar Buro, of the International Amnesty-France, have presented the findings of the monitoring of human rights situation in Uzbekistan. Meanwhile, staffers of the embassy have refused to accept any statements from the human right defenders or meet representatives of international human right organizations.